Like to explore the countryside on foot? 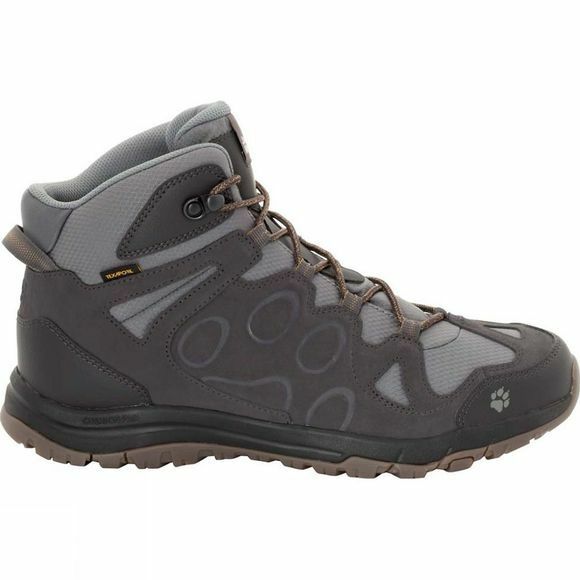 The Mens Rocksand Texapore Mid is a lightweight, waterproof, multifunctional boot designed for leisurely hikes with a light pack and spontaneous trips to the countryside. With this boot you'll handle straightforward trails, paths and uneven forest terrain with comfort and ease, thanks to the flexible, cushioning sole and the special comfort fit. There's plenty of room for the foot at the front of the boot and proper support for the heel on uneven ground. And to cope with the occasional puddle or the odd shower, the boot is equipped with a waterproof Texapore membrane.